Tracing its roots back to 1900s Monginis, today has emerged as a ‘Fountain head of ideas that are good enough to eat’. 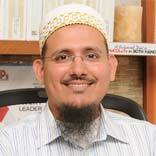 In an interview Qusai Khorakiwala, Director, Monginis Foods Pvt. Ltd shares with us the brand’s success so far. Abha Garyali (AG): Share with us the inception and growth of ‘Monginis’? Qusai Khorakiwala (QK): Monginis traces its roots back, to early 1900s when it was a favorite with the Europeans in Mumbai. The shop, located in Mumbai's Fort area, run by two Italian brothers was a must at every celebration. In the 1960s, Monginis was bought over by the Khorakiwala family and after that history was made. By 1971, the idea of having a nationwide franchise network and reaching out to customers in the neighborhoods was born. Monginis now is the place from where all the yummy stuff emerges. It is the nationwide headquarters, to which all manufacturing and cake shop franchisees report. It is the fountain head of ideas that are good enough to eat. AG: Food and Beverage (F&B) sector has picked up speed. What according to you are the major growth drivers behind the rise of India’s (F&B) industry? Increased exposure due to international travels and media explosion has led to higher aspirations. This matched with availability of wider range of products through organised food retailing has resulted in higher spends. Attitudinal changes like experimenting with food and more willingness to spend has benefited the processed and convenience foods the most. Huge production base, increase in organised food retailing and higher investments are other factors which are driving the growth. AG: Indian customers have different eating and spending pattern. What customisations do you make in terms of menu and pricing to suit the customer’s pocket and taste buds? QK: Western influence has made the customer more demanding, and thanks to them we are always pushed to bring out the best in us in terms of better products, elegant cakes and 3D cakes which are in vogue today. The youth want their pictures on mugs and T-shirts, now cakes are no exception. The customer is more knowledgeable, more conscious and more sensitive towards his purchases. AG: Monginis has shown a lot of expansion in the last few years. What all parameters do you consider while launching your brand in a new region or city? Depth and height: Minimum depth of 22 ft and height of 9 ft.
Monginis Exclusivity: The franchisee has to preserve the exclusiveness of the franchise and should display, stock and sell only the products manufactured and / or supplied by the company. AG: Why do think franchising is a viable opportunity for expanding at a faster pace? QK: Opting for the franchise route has brought a great deal of advantage for Monginis. To begin with, and most importantly, we did not have to put our own capital at risk. No doubt we would have made more money if we had opened our own stores, but we could not have grown so fast. Thanks to franchising, in the past five years alone, some 30 stores have been added. Franchising also gave us an opportunity to focus on business diversification – for instance, we were able to start a packaged cake segment. QK: Presently, we have a network of more than 700 outlets pan India, out of which 225 are in Mumbai only. By the end of this fiscal the brand aims to have at least a 1,000 plus outlets in India. AG: What sort of training and support you offer to the franchisees? QK: We have regular training sessions of office and management staff on emotional intelligence, effective leadership and team building activities. For workers we have motivational workshops, safety and regulation workshops and personal hygiene and cleanliness benefits. AG: What are the area and investment requirements by a franchisee for taking a Monginis franchise? QK: Monginis shop must cover an area of at least 200 sq. ft with a minimum frontage of 9 ft. with high visibility area. An investment of Rs 6 to 8 lakh is needed by a franchisee.